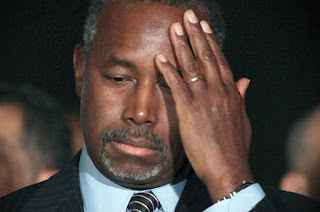 Carson's foreign policy ignorance is death knell for campaign after latest terror attacks. Ben Carson has had a great run. He has no experience, no knowledge of the issues, and no real inclination to learn the things he has to learn in order to run for office. In every debate so far, he’s embarrassed himself with meandering non-answers. Oftentimes it’s not clear Carson even understands the question he’s been asked, and that’s pretty much the case across topics. Remarkably, none of that has mattered in this race. Carson has slithered his way to the top of the polls in recent months, and he appeared well-positioned at least until the Iowa caucuses. Carson’s only real competition thus far has been Trump. And the leading “establishment” candidate at this point is Rubio, who remains roughly seven points behind Carson in most of the polls. It appears the recent terrorist attacks in Paris have awakened GOP primary voters from their slumber – well, sort of. And that’s bad news for Carson, who just had one of his worst weeks as a presidential candidate. In case you missed it, Carson stumbled last week when he mistakenly claimed that China was militarily involved in Syria. He then failed to name the nations he would ask to join a coalition against ISIS. Even in a party that devalues experience and champions know-nothingism, this is a potential death knell for Carson’s campaign. FBI Hillary Clinton Probe Expands! 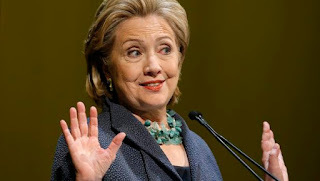 Hillary Clinton is attempting to make gun control and reducing gun violence a key part of her presidential campaign, as a once politically sensitive campaign issue moves front and center in the wake of the Charleston church massacre in June. The frequency and force with which she and the other Democratic presidential candidates discuss gun control marks an evolution on an issue that was once a near-taboo for Democrats on the campaign trail. 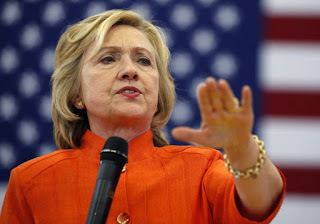 Since a 21-year-old white supremacist killed nine black churchgoers in Charleston, South Carolina, in June, Clinton has wrapped toughening the nation’s gun laws into her standard stump speech. It also marks a rare policy on which Clinton is to the left of Vermont senator Bernie Sanders, who is closely chasing the frontrunner in Iowa and New Hampshire. During an earlier campaign event in Coralville, Iowa, Clinton vowed to challenge the powerful US gun lobby, the National Rifle Association (NRA), and pledged to make gun control a “voting issue” that motivates Democrats in the same way gun rights motivates Republicans to vote. “We’re going to make this a voting issue – just like the other side does,” Clinton said on Tuesday afternoon.